Aircel, which holds third-largest subscriber base in the Kolkata circle, has announced a new ‘Night 3G data pack ‘- STV 47, which offers up to 1 GB of 3G data from 12 PM to 6AM . Last year, we had reported that how the company withdrew its ‘Night 3G data pack offer’ following the footsteps of other major players such as Vodafone and Airtel. The Chennai-headquartered company now has 4.1 million customers in Kolkata as of February, 2016. However, in recent months, after Idea Cellular’s own 3G launch, operators are re-introducing ‘Night 3G pack’ to tap data hungry customer. 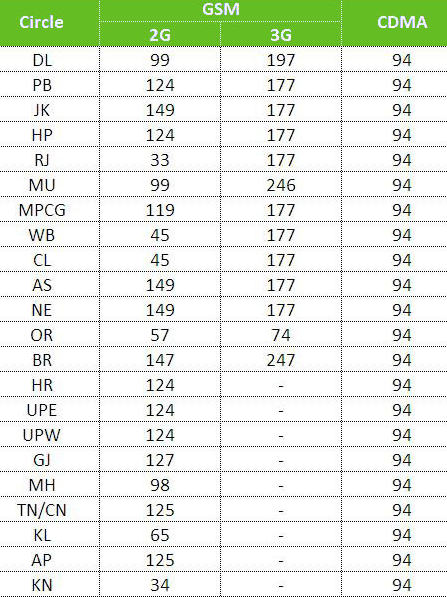 Aircel is also facing stiff competition from other rivals who have launched 4G services in many parts of the metro areas. Also, superior 3G services from Idea Cellular was also the reason why the company is resorting to such data benefits packs. 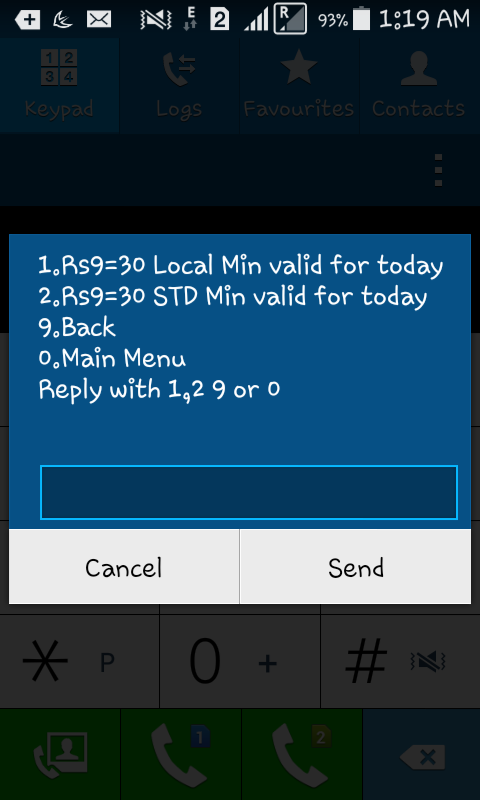 * Only for Aircel Kolkata user’s. 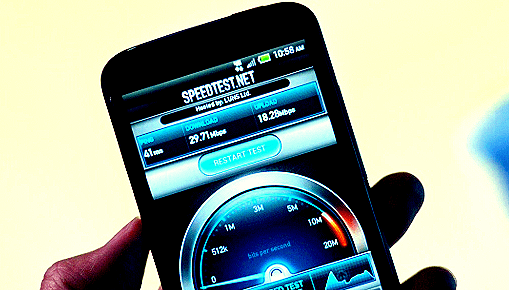 To protect its market share, Aircel has already installed hundreds of new 3G BTS. It also came up with new 3G brand campaign in the circle. 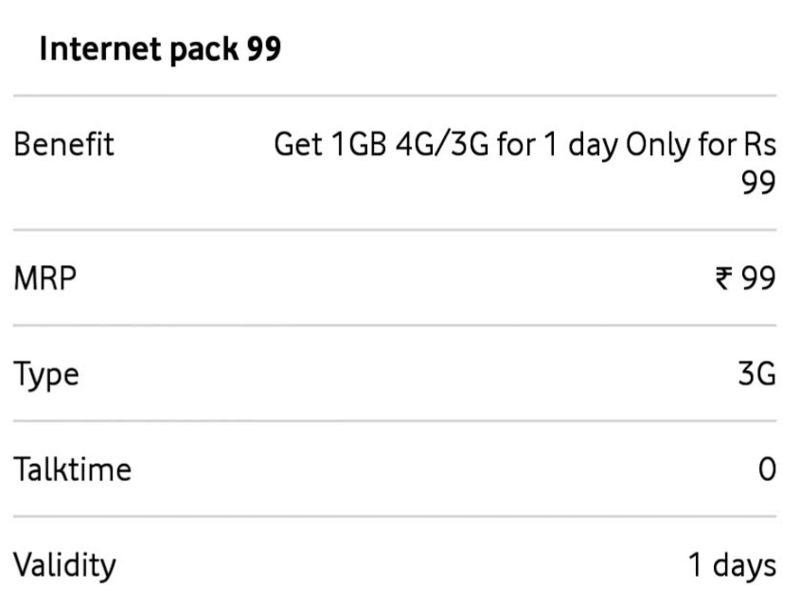 Vodafone Launches 1GB 4G Data Pack At Rs.99 Only With 1 Day Validity ! Vodafone, the second-largest telecom operator in the country, has launched the cheapest 1 GB Internet pack at Rs 99, which will offer 4G data to its customers for a day. The new Internet pack will offer 1 GB of 4G data to customers for a day, besides, customers in only 3G circles will also get a similar benefit for data. However, the new pack would not be attractive to all as the pack comes with a validity of one day only. Few days ago, the company kicked off its ‘SuperNet’ campaign. Last year, it introduced Double Data on Internet pack, which enables customers to avail the data recharge via 121. 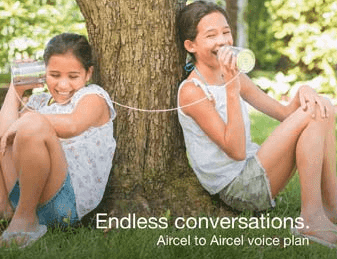 Aircel has launched Unlimited Morning Voice Calls pack for its cusotmers in Kolkata circle. 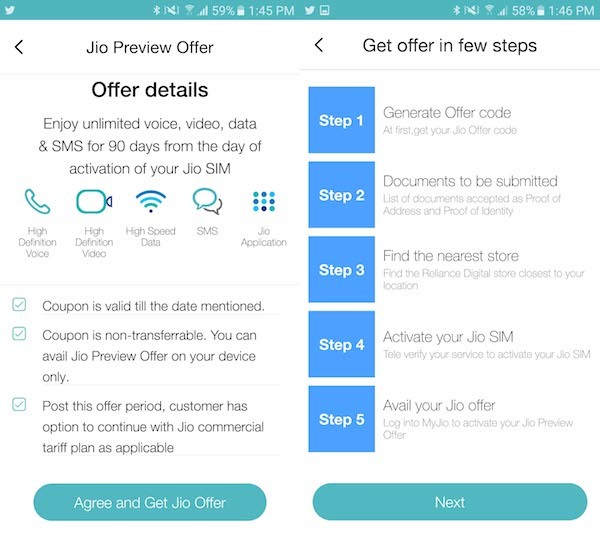 This offer by the telecom operator isn’t a unique one as it was introduced an year ago for free. However, the pack is now chargeable for customers. Unlike old offerings, both old and new customers would be able to use the pack. To get the benefit of unlimited morning calls to any local Aircel number, customers have to dial a USSD number *121*6290# from their phone. 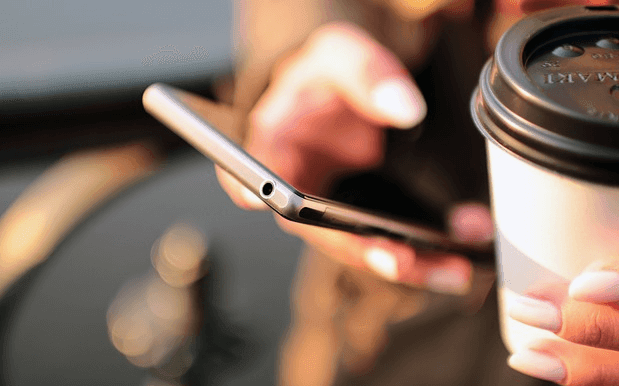 Once they dial this number, their service would be activated soon, and customers using the plan will be charged for the first call at a rate of Re. 1 per minute. 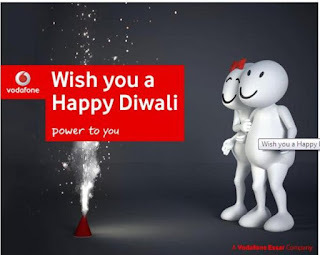 Vodafone Subscribers can avail of the free 100MB data by just sending an SMS 'DIWALI' to 199, the telco said in the statement. 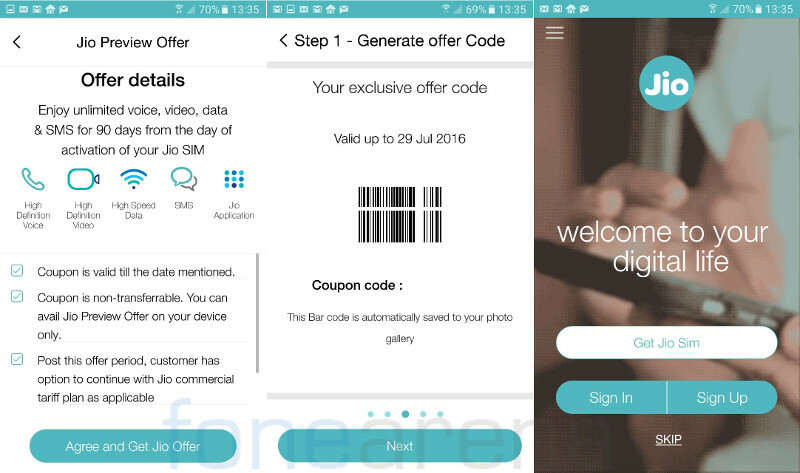 Vodafone India had recently launched Vodafone Doubles – Double Data and Double Validity packs for its customers rewarding them with additional voice and data benefits. "At Vodafone, we are driven with the singular objective of delivering superior experience to our customers. Data is increasingly driving usage pattern, more so during important festivals like Diwali. Offering free data on Diwali is our way of gratifying our valued 188 million customers for their love and trust in the brand and our service experience. We take this opportunity to wish all our customers Happy Diwali and will continue to delight them with such differentiated offerings in the days to come," said Sunil Sood – Managing Director and CEO, Vodafone India about the offer. This isn’t the first time Vodafone has an offer for its users on Diwali. Last year, it announced a two-day Diwali flash sale for prepaid users in Delhi and NCR region. 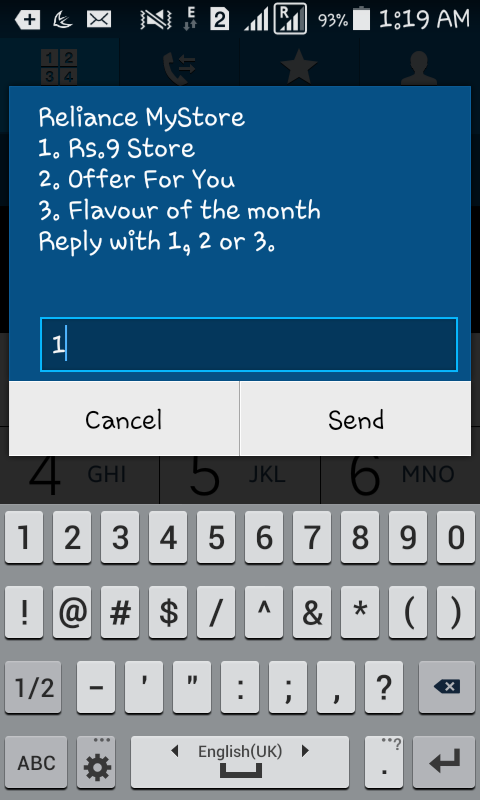 Those entitled for the offer would then get up to 80 percent off on data, SMS, and talktime. 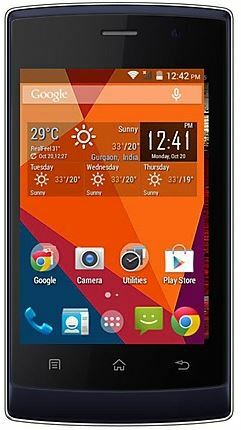 In 2013 too Vodafone offered up to 80 percent off on 2G data plans for its prepaid and postpaid users. BSNL has earlier stopped carry forwarding of remaining data balance to next month but In view of response received from nodal centers, BSNL has withdrawn earlier order and decided to allow carry forward of unutilized data on data STV recharges. BSNL subscribers can now carry forward unused 2g or 3g data by doing a recharge with a data STV before end of validity of the current plan. This will be a huge relief for subscribers who are not able to use up full data benefit before validity expires. Currently Reliance and Docomo are other operators supporting data carry forward facility. 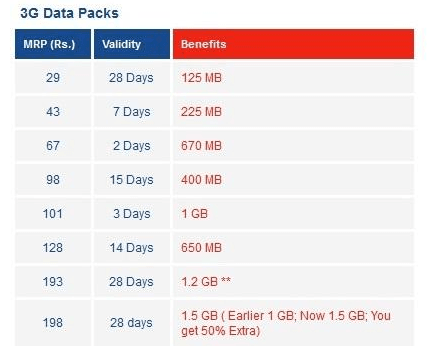 Aircel has launched an exclusive data offer for its customers which offers 125MB of 3G data at 2G cost of Rs.29 with a validity of 28 days.Aircel is providing this offer only to its customers who do an online recharge. This pack is the best pack at best price,Instead of using whatsapp or facebook special pack .Using this pack you can use any app and lets you browse any site.It is beneficial for users who use limited or small amount of data monthly. Aircel is also offering 20% extra data for customers recharging through aircel online recharge portal.With this new offer, Aircel is trying to attract users to access its online recharge portal for data recharges. Note : Please check this offer with aircel customer care befor activation, offer may not be available in your area or Price may not be same for all states. Idea has launched whatsapp plan for Rs.39 offering 200MB of whatsapp data usage with validity of 30 days in andhra pradesh and other states.Idea is currently having the third largest subscribers base in our country. 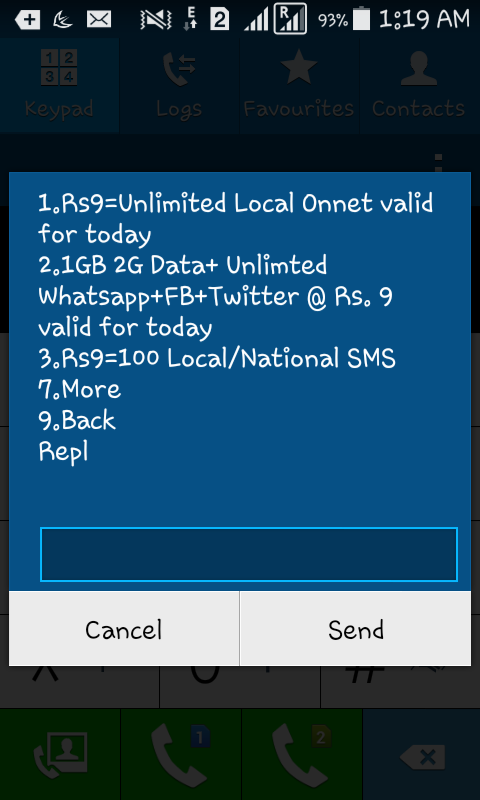 Previously indian operators like Reliance,Tata Docomo,Aircel and Uninor have already launched these social networking packs offering facebook,twitter and whatsapp usage.Reliance network offers the best whatsapp pack with truly unlimited usage at just Rs.16 for a week validity.Idea whatsapp pack is not unlimited though it is just a good move by idea. To Activate this plan,you need to have a minimum of Rs.39 In your idea sim. You Can also visit Idea Offical Site for more packs and plan details. Receive Live Cricket Scores of all ongoing World Cup Cricket Matches on your mobile absolutely free through sms.To receive free cricket scores,you need to just give a missed call on below number.You will soon receive cricket scores and also twitter updates from your favorite stars throughout this worldcup. This service is completely free of cost to all indian subscribers of all networks as you just need to give an missed call. 2. Or Dial 18002082030 (Toll free). Once You Dial any of these Numbers, you call will be disconnected automatically and you Will receive free cricket scores and other updates during this world cup. Within 2 mins you will start receiving live scores of the match. 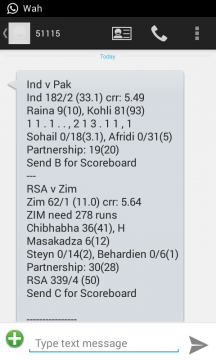 Enjoy free cricket score sms alerts on mobile during this World Cup #WC2015 season ! 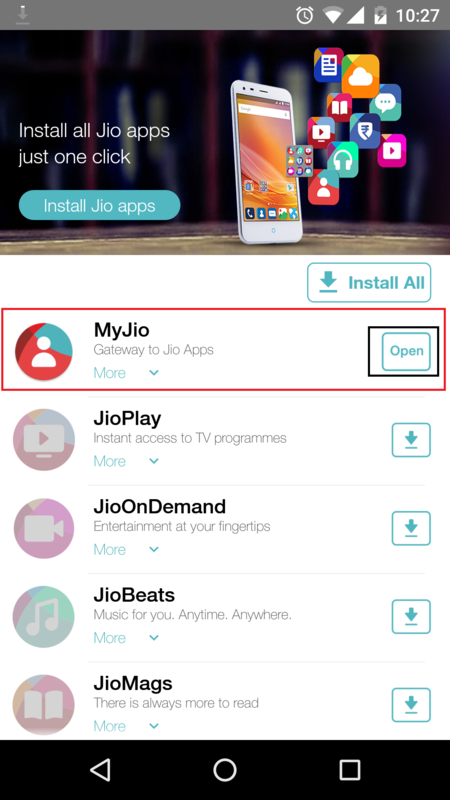 How To Carry Forward Unused Data Balance In Your Account To Next Month With Tata Docomo ? 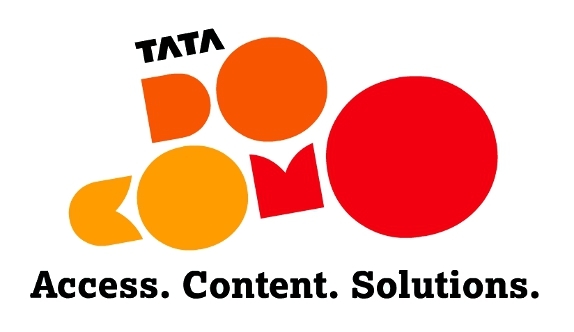 Tata Docomo has launched a facility for its pre-paid customers which allows them to carry forward their unused data benefits to the next pack. The users need to recharge before their existing data pack validity expires to avail the facility. 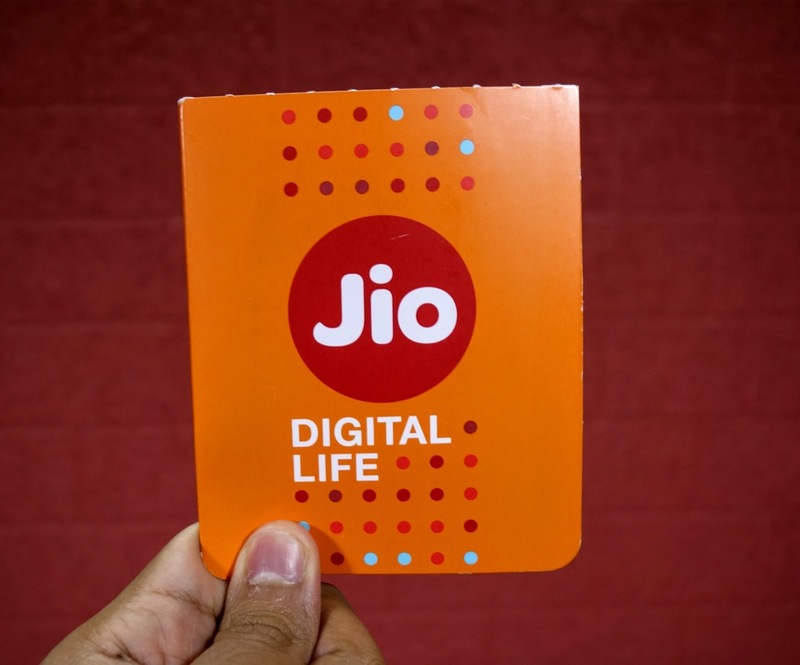 "Users can now carry forward/add their unused data balance, for 2G by recharging with a 2G data pack and for 3G by recharging with a 3G data pack before their existing data pack validity expires," Tata Docomo said in a statement. Suppose the customer has a 3G balance of 500MB data left and the validity is left for just one day and then the user recharge which gets him another 300 MB data for another 28 days. So now the users will be able to carry forward the unused 500 MB data along with 300 MB data bringing the total free usage quota to 800 MB. The company said owing to the large volume of data consumed, it recognises the need to help customers manage their data usage better and in an economical manner. 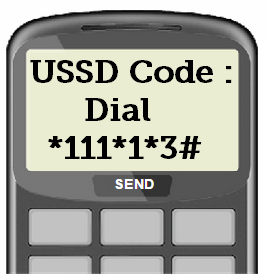 Customers need to only dial *111*1# to know the remaining amount of data available from the last recharge. 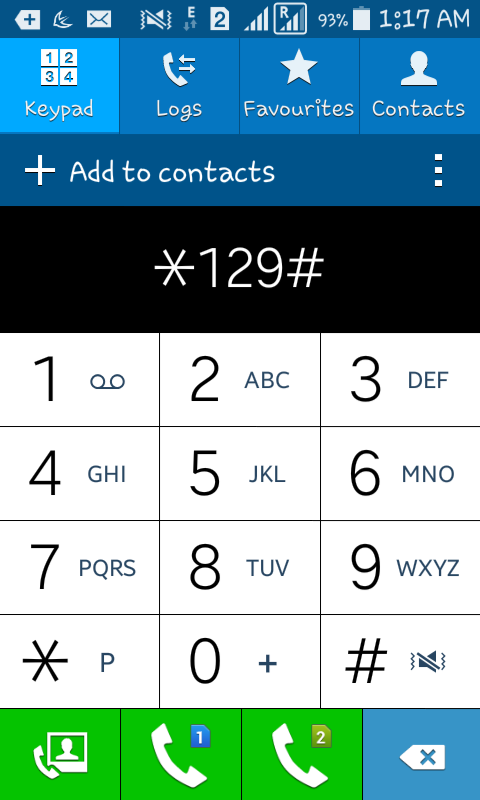 They can also dial *141# to avail personalised data plans that suit individual preference. With Airtel Internet you can Check your email, connect with friends, tweet, blog and do a lot more with Mobile Internet Service on your airtel mobile. Stay connected anytime. 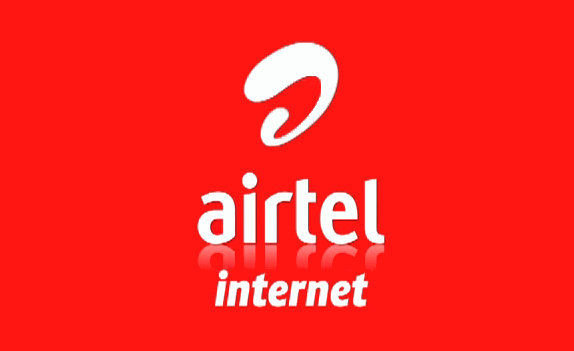 We Will guide you to How to Setup Airtel Grps Settings In you Mobile . In your Mobile > Settings > Network > Connections , Create a New connections with the details. 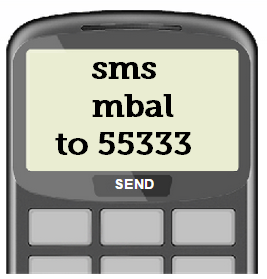 Check below Airtel manual GPRS Settings Needed for All Mobiles for both 3g/2g mobiles.